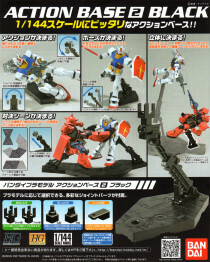 Home » Blogs » Falldog's blog » Layman's Gunpla Guide - Posing & Bases! 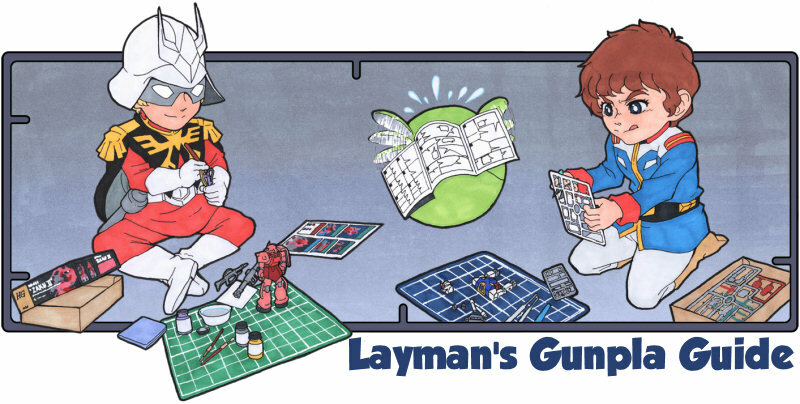 Layman's Gunpla Guide - Posing & Bases! Probably the most important thing you can do after putting together a model is give it a pose. Add some life and personality to your kit. 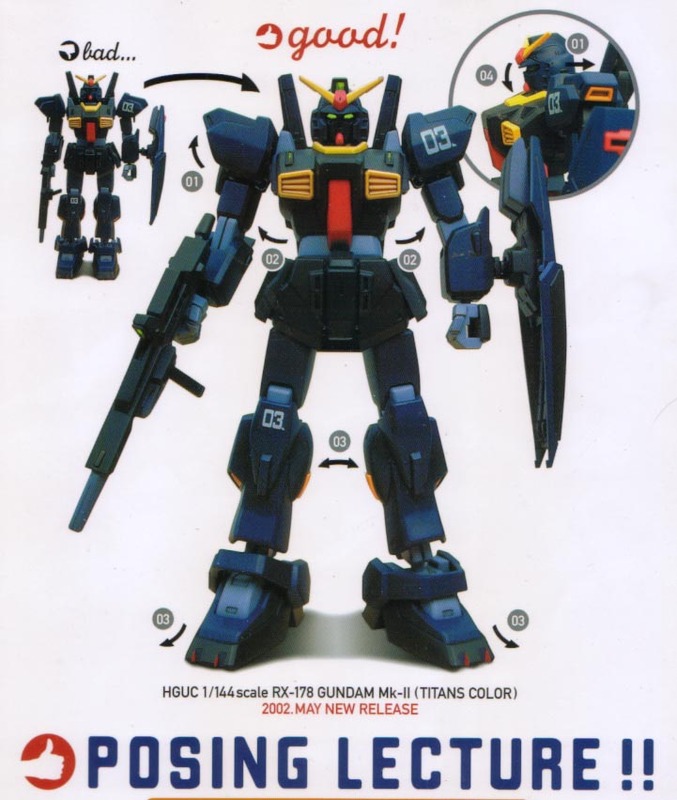 It's a rookie mistake, your Gundam shouldn’t stand around stiff as a robot. It should be allowed to loosen up as to look and feel more natural. From here on everything is up to you. 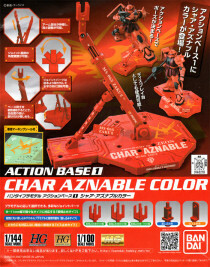 Reenact a scene, pit it in combat against another model, make it dance, facepalm, etc. If you’re working on your first kit with individual fingers, do what everyone does the first time, flip the bird. I really shouldn’t have to help with this part. Despite most mecha being legged creatures they seem to find the vast majority of their time jumping/flying through the air or floating around in space. How is one to replicate that when the plastic of our kits are tied down by Earth’s gravity? 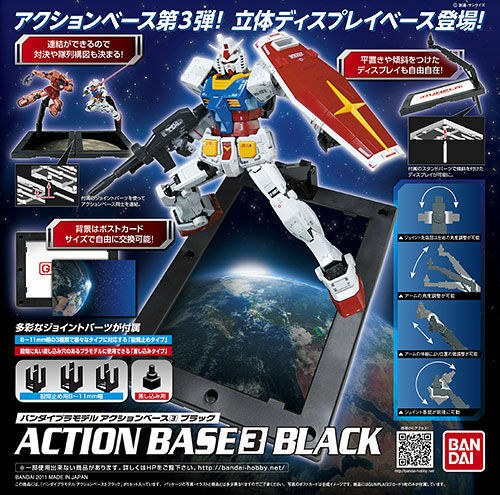 Luckily Bandai, being the marketing wizards that they are, released Action Bases. 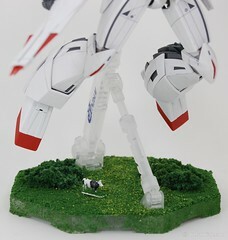 These plastic stands can hold up your model allowing for poses that otherwise wouldn’t be supported via their legs. 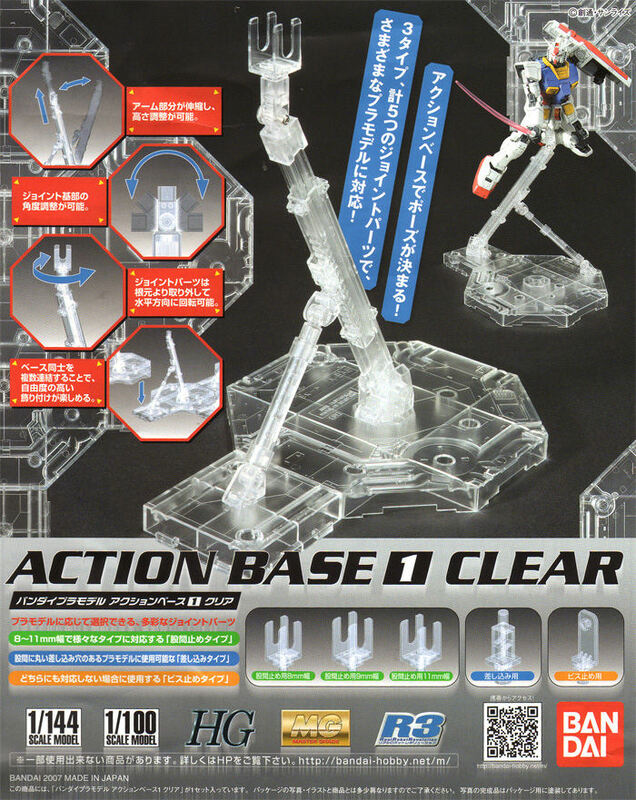 There are two main Action Bases out there, #1 and #2. 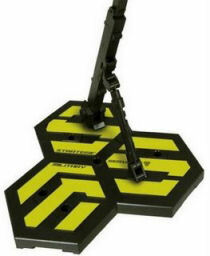 Action Bases #2 supports all models scale 1/44 and down while Base #1 supports scale 1/100 and down. Each base comes with various adapters that fit most models. Some kits even, such as the MG Turn-A, come with their own adapter. Every now and then you’ll find a model that doesn’t quite fit the adapters properly. Usually the prongs are just too long. This is solved with a simple snip–snip. Bases come in a wide variety of colors. Personally the clear ones are my favorite yet it’s really easy to paint one to match your model. Just grab can of spray paint and you’re set. 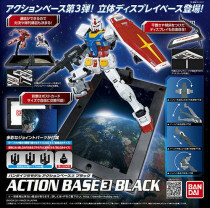 There are also theme bases which come with stickers to tie it into a kit. 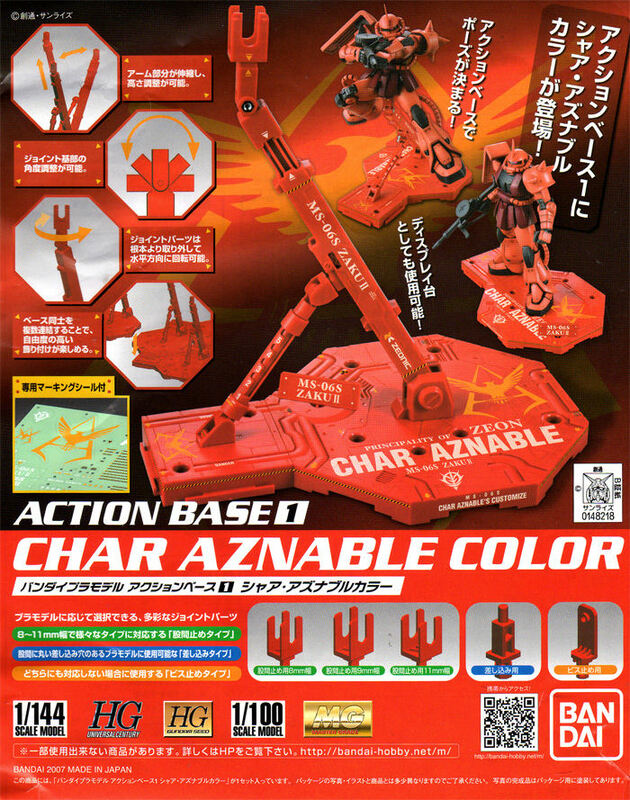 The red Char base comes with various Char & Zeon related stickers while the Unicorn and Sinanju kits are molded in different colors and come with related stickers. 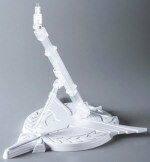 Bandai also released a few more specialty bases such as a SMS one for their 1/72 Macross Frontier kits. 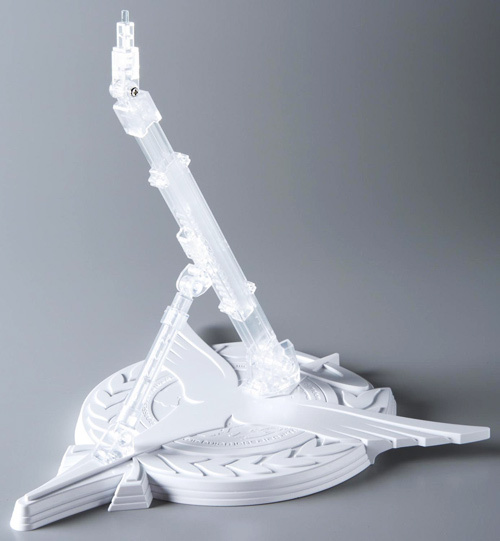 For Gundam 00 there’s a stand where the base is shaped like the Celestial Being logo. With your base in hand you’re now open to a much wider variety of positions poses. 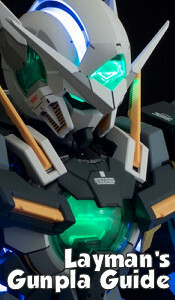 I am pretty sure there are third party stands out there for gunpla, but I’ve never seen them. If anyone has information, please let me know. I’ve oft thought about making my own w/ various bits of plexiglass but I have yet to try. If you’re not satisfied with the base you should consider detailing it or coming up with your own scene. 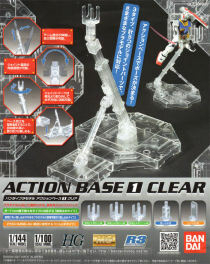 Bandai’s Action Bases are detailed with pipes running about that could be painted to add a bit of flare. With a bit of creative thinking you could even use the small space to develop a scene or landscape. The Master Grade Turn A Gundam comes with a miniature cow - which fans of the series will instantly understand. Instead of just letting the cow hang around on a poor base I gave it some grass to feed on. Most hobby or craft stores sell little kits geared toward model train enthusiasts or children working on school projects. While the kits vary they usually come with everything you need to lay down some grass and shrubbery. $10 later and my Turn A base looks great. My Turn A base was just a simple exercise. Many modelers spend just as much time crafting a base as they do on their model. Be as creative as you like with your display. I have plans some battle torn city, but that’s a good way off considering my skill level I think. As always, if you have any tricks or tips let me know!